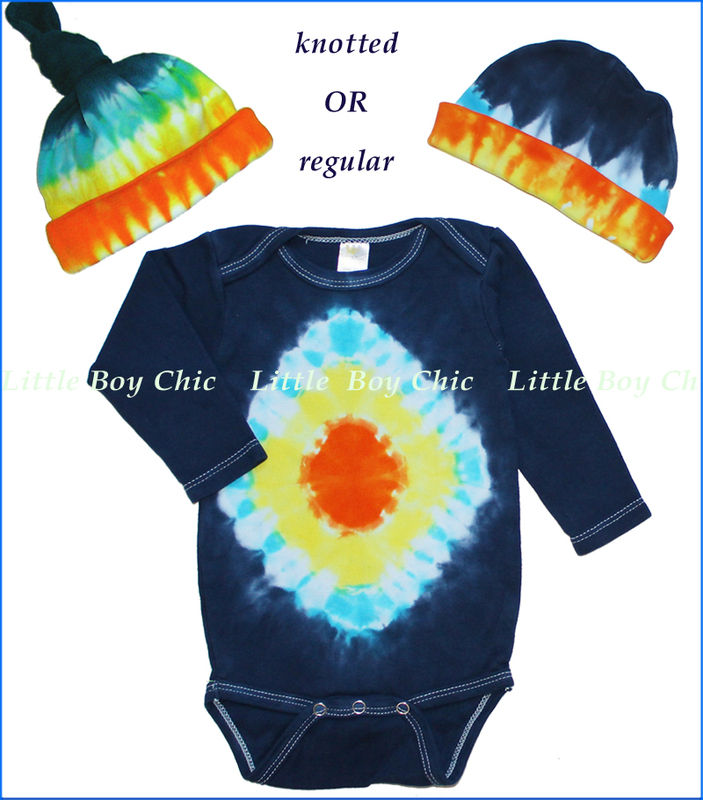 All eyes will be on your baby in this bodysuit in the most charming tie-dye with a unique diamond design. It comes with a matching beanie and makes a perfect baby shower gift. Complete the look with navy or denim sweat pants. 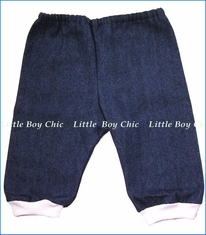 Made of high quality 100% interlock cotton and cut generously to allow for one-inch shrinkage in length. Choose the knotted beanie set or regular beanie set.